We hear it all the time. Our Newbury Park storage facility and storage units aren’t like the others. The units are so bright and pleasant, and the facility is so clean and well landscaped. That’s part of what makes Hollywood Storage Center of Thousand Oaks unique. 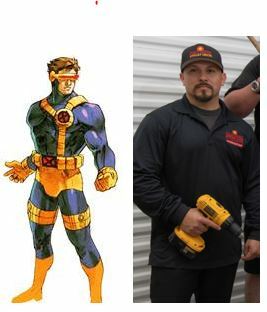 We proudly tell our guests that we have a secret weapon for making our storage facility shine and our guests feel well cared for, our own superhero posse. For those who haven’t had the pleasure, meet The Clean Team™! This team spends their day making sure our center looks its best, but that’s not all they do. They’re also responsible for fulfilling our “Free Truck & Driver to Move In” offer. 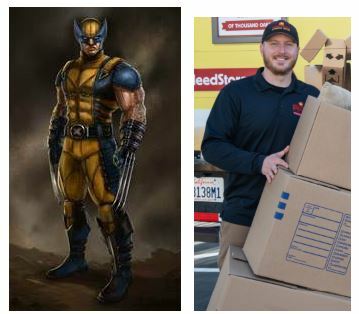 They’re the ones who will show up, on time, to pick up the items you want to store, and bring them back to your new storage unit. We offer our Free Truck & Driver to new guests coming from anywhere in our service area – including Camarillo, Westlake Village, Agoura Hills and other cities! 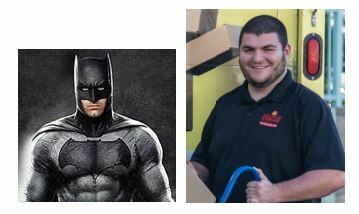 They’re also the friendly guys who are there to bring you a cold drink on a hot day, or a snack when you’ve been working in your storage unit and need a break. You’ll see them driving around the property on the Hollywood Storage Courtesy Cart offering a wide range of free refreshments. 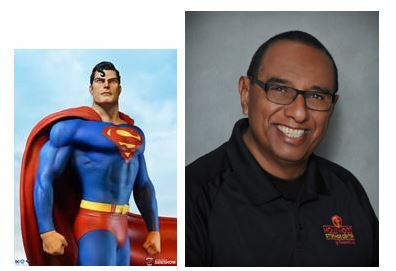 So, yes, calling them our team of storage superheroes seems to fit – they keep our property beautiful, help our guests, and seem to have super-human powers that let them know where and when they’re needed at all times. So it seemed fitting to ask them who their favorite superhero is! Here’s what they said. Ben – I like Batman because he is a martial arts master and has all the coolest gadgets. Mike – Superman is cool, he’s got the eye lasers and he’s bullet proof. Alfonso – Spiderman is my favorite because aside from his spider powers, he is a super genius and made all of his own tech. Justin – Who wouldn’t think Wolverine is awesome? His skeleton is covered in metal, he can heal from most wounds almost instantly, and he is over 100 years old. Manny – Cyclops is a great leader which is something I aspire to be. Plus, his eye beams can cut through almost anything and he is dating Jean Grey. At holiday time, or anytime, when you’re looking for storage units in Newbury Park, we’ll provide you just what you need at the Lowest Price – Guaranteed! From our team of superheroes to your super-awesome family, The Clean Team™ would like to wish you all happy holidays! 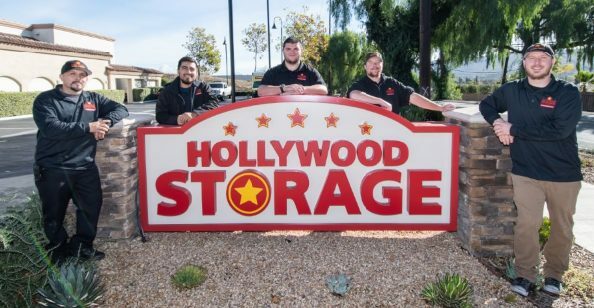 This entry was posted in Hollywood Storage Center, Newbury Park Storage, Thousand Oaks Storage and tagged Agoura Hills, Camarillo, Hollywood Storage Center, Newbury Park, storage units, The Clean Team, Thousand Oaks by Hollywood Storage Center. Bookmark the permalink.